What we actually have is a group (however imperfectly) which is committed to historic Christianity. The second group (however imperfectly) is committed to a re-imagined church. One, however flawed, is committed to the recovery and defense of historic Christian orthodoxy. The other, however nice and erudite, has not demonstrated a robust commitment to historic Christian orthodoxy. Thus, we actually have two groups; one orthodox and one heterodox. As you might imagine, his terms have provoked applause and disagreement. Those who find themselves described as orthodox appreciate that someone is describing their sense of things well. Those described as heterodox are less enthusiastic about his categories. This happens the other way, too. Some of us are called bigots over doctrine. Others engage in a more subtle kind of labeling that goes like this. “When I was young, I believed what the church taught, but now that I am older and have thought about it more …” Or another variation: “Many thoughtful/intelligent Christians look at these questions and …” These constructions appear to suggest only immature or non-thoughtful people take the opposite position. Even when all we are trying to do is describe out own position in positive ways, we end up labeling people who disagree with us in negative ways. Perhaps this is just the price of trying to think and speak clearly. I suppose the Donatists and Pelagians did not like be called heretics, either. 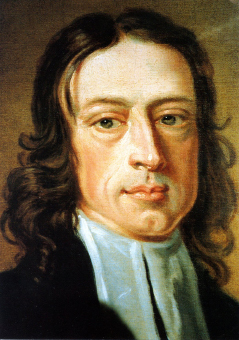 Church of England stalwarts did not like John Wesley going around defining “real” Christians in terms that eliminated most of them from the term. But is interesting to me that nearly everyone feels that they are being described in inaccurate terms and in ways that are not honoring what they are trying to say. I wonder if this is just the way it is or if there is something that can be done about it. Posted on May 6, 2014 by John MeunierPosted in CommunicationTagged Communication. Next Next post: Flattening the UMC? I’d like to think that something can be done about it, even though our finite perspectives do tend towards self-legitimization. I think it’s easier to do one smaller levels. Think about a disagreement with a spouse or close friend. Even though you might hold certain assumptions, it is possible to slowly unpack these and peer into the other person’s world. Perhaps we are too distracted or impatient to do this on a church-wide level. Even the Apostle Paul argues that “Indeed, there have to be factions among you, for only so will it become clear who among you are genuine.” Throughout his writings, he poses questions in stark contrasts. We lack clarity until the debate becomes sharp, then the divagations are revealed for what they are. Timothy Tennent stands with the Great Tradition. He’s not serving waffles. Tim Tennent is simply following in the footsteps of Jude. Sometimes labels fit.